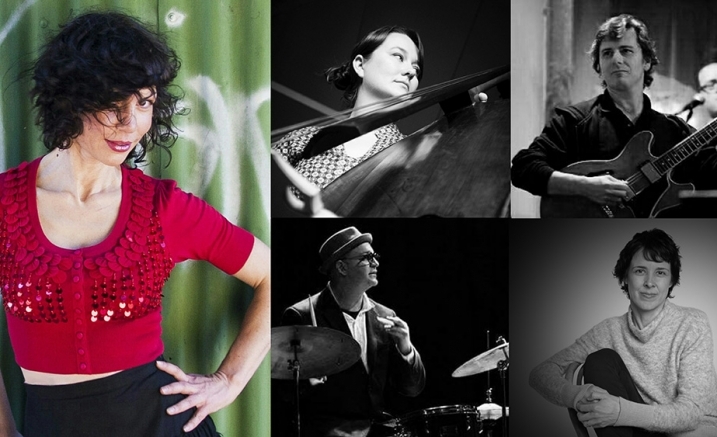 Jackie Bornstein is one of Melbourne’s most captivating singers and has become a regular fixture in the Melbourne jazz scene. Known for her ability to get to the heart of a tune, Jackie’s recent Melbourne International Jazz Festival debut was a sellout. She brings her moving vocals to the Salon in celebration of women composers in jazz. From the early evolution of jazz, women have overcome significant obstacles to help shape the sound of jazz with their songs. Jackie Bornstein brings her rich and emotive vocals to these compositions which are some of the most moving songs in the jazz repertoire. Together with her top band, Jackie shares the music and stories of female composers and lyricists including Nina Simone, Billie Holiday, Bernice Petkere, Dorothy Fields, Jackie Bornstein and more. Concert update: As at 22 May 2018, Angela Davis is unfortunately no longer able to perform as part of Women in Jazz. Andrea Keller joins the artist line-up.